Buying your first car doesn’t need to be stressful, even if you have no vehicle credit history! 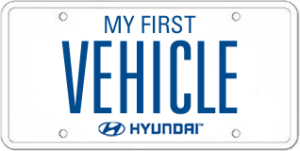 The My First Vehicle program at Hyundai of Muskoka simplifies the financing process for first-time car buyers, making it possible for people who have no vehicle credit history at all to get behind the wheel of their very own car. FIRST TIME BUYER. WE GET IT. If you’ve been turned away because you’ve never bought a car before, trying to save up to buy one without credit just isn’t feasible for most of us, especially if you’re a student. The My First Vehicle program is great for students or recent graduates because it helps keep your vehicle costs down to a manageable, monthly payment so you can put your money towards more important things like textbooks or tuition. Taking advantage of My First Vehicle doesn’t mean you’ll get stuck with the junkers! You can choose your new vehicle from our quality used vehicle inventory, including our certified pre-owned vehicles. You can also pick out your wheels from our brand-new Hyundai lineup of 2018 and 2017 sedans, coupes, and hatchbacks, like the Elantra or Accent. Both new and certified pre-owned vehicles come with industry-leading warranties, so you know that your investment will be protected. Whatever you choose–new, used, or certified pre-owned–get an affordable vehicle with the quality, design, technology, and safety features Hyundai is famous for.